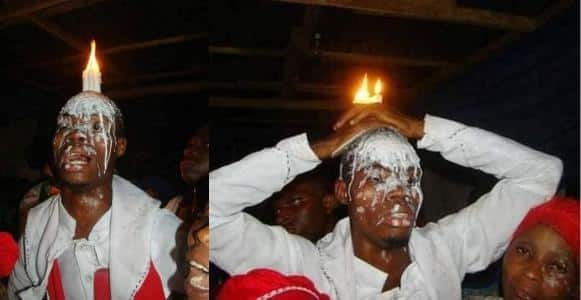 A Facebook user on Tuesday has revealed that his family took him to a church to burn out the spirit homosexuality in him. The young man, who wanted to remain anonymous, told our sources after the burning out ritual that it was his family idea, which he went along with because they assured him it won’t be dangerous. A candle, which was soaked in a mixture of vinegar, lime, ash, dried and then subsequently dedicated to God, was placed on the man’s head to burn out the spirit of homosexuality. It was a gathering of his friends and family, and also well-wishers, hoping that this evil spirit from the time of Sodom and Gomorrah would be banished from him forever.